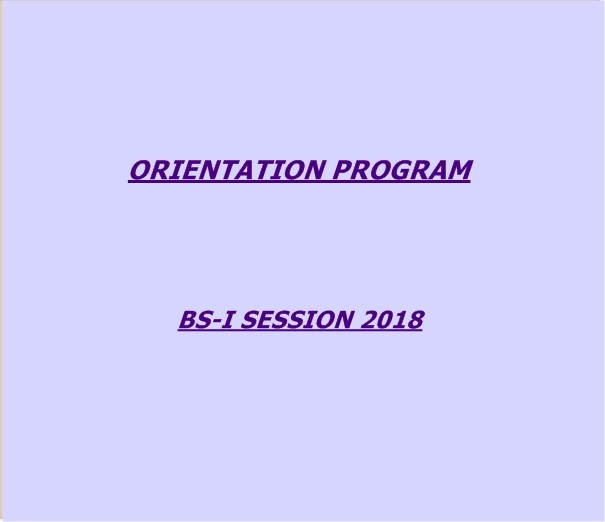 An orientation program for BS-1 semester (session 2018) was organized at Ra’ana Liaquat Ali Khan Govt. College Of Home Economics, Karachi by Students’ Affairs Committee Tuesday 16th January, 2018. The ceremony was held at Rangoonwala Auditorium within the college premises. Three registration desks were set up outside the auditorium by the Students’ Committee, where members of the Students’ Council facilitated new students in getting their contact information registered for future communication in case of need. Sections lists and class timetables were also displayed outside the auditorium and Students’ Council members guided the new comers in locating their names in the lists and helping them with understanding the timetables. Members of the Students’ Council also managed discipline inside and outside the auditorium during the ceremony. Ms Ghazala Naeem, In Charge Students’ Affairs Committee along with her Co In-charge Ms Roohi Iqbal supervised the entire programme. Members of the Students’ Affairs Committee as well as College faculty members were also present during the programme. Khadija Tahira from 12th Grade Section ‘L’ did comparing, program started at 11:00 am with the recitation of verses from the Holy Quran by Hafsa Najeeb 12th Grade Section ‘H’. 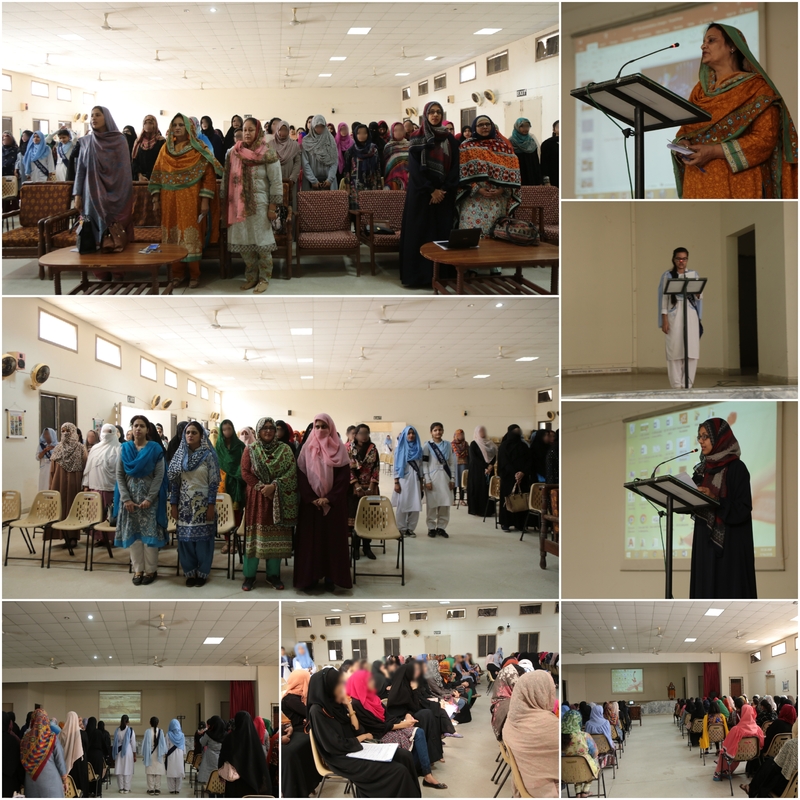 Ms. Najeeha Khan, Lecturer from Nutrition and Dietetics Depatment gave brief description about our BS-program and rules and regulations of the college. Principal prof. Durdana Kazi addressed speech in which she welcomed to the new batch and also highlighted some rules which must be followed by students. Program ended with thanks note and wishes for new entrants of BS I. The ceremony in the auditorium was followed by a tour of the college campus. Members from Discipline Committee guided groups of new students to various buildings and departments and showed them around classrooms, labs, and other facilities of the College.